In a bowl, heat up the coconut oil until it´s liquid, then add in the egg (you can use only the egg white, I use the whole egg), a tablespoon of honey, and if you desire milk or orange Juice. I just eyeball that one. Now to apply this mask, I go over my bathtub to first wet my hair and then take it and get all of the mask in my hair, by dipping or rubbing it in. First I pour sugar in a bowl, then I add in the other ingredients, mostly taking a tablespoon each, but that´s totally up to you. For this you´ll have to stir a lot- until the coconut oil is comined with the rest and it´s more or less a smooth consistency. I set that aside for the moment and continue on my face mask, which consists out of equal parts of honey and lemon. I go ahead and spread that on my face straight away. After I have finished making all my DIY´s, I fill up my bathtub halfway (you don´t want to go overboard) and add in some essential oils from the drugstore, so my Skin doesn´t dry out, while I´m in the water and it just smells amazing! 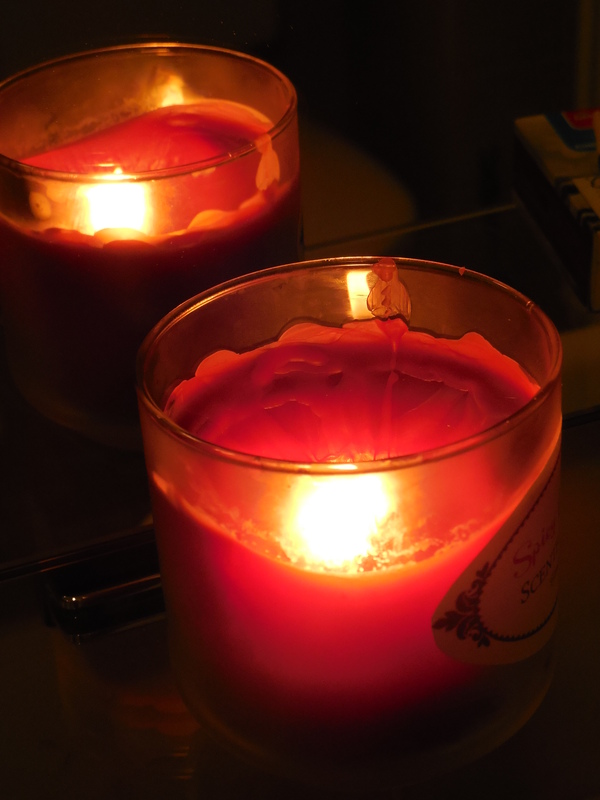 To finish off, I light some candles (I made myself) and put on some relaxing music. I enjoy listening to Ed Sheeran´s new CD “X”. What do you listen to, when you´re having a bath? Or do you listen to nothing? Tell me in the Comments, I´d like to know. Now, that all is set, I relax in the bath for about 30 minutes. Then I apply my Bodypeeling, by rubbing it in and going back in the water to wash it off. I again relax for 15 minutes. When I´m all done, I wash off any masks or Peelings that are still on my skin or in my hair. Then I apply my bodylotion and curl up in my bed or on the Couch, in my bathrobe, with a good book. Love your beauty routine and I think it is so important to relax and have a little me time every day! I personally love adding lavender essential oil to my baths for a relaxing evening. I also make my sugar scrub out of rose petals, frankincense oil, coconut oil, and sugar. Super relaxing and great for dark spots and wrinkles. That sounds really good, I´ll try that next time!